What a week! It was the last week of term here so been busy with school award ceremonies, plays and day-to-day mayhem, as well as getting two job applications in. For months, it seems like there’ve been no teaching jobs advertised anywhere that we could move to with D’s job (and his job’s quite incredibly flexible about where he could live!) and then three come up at once. So with a bit of luck we could be moving to Perth, Stirling or back home to Fife. Fingers crossed! 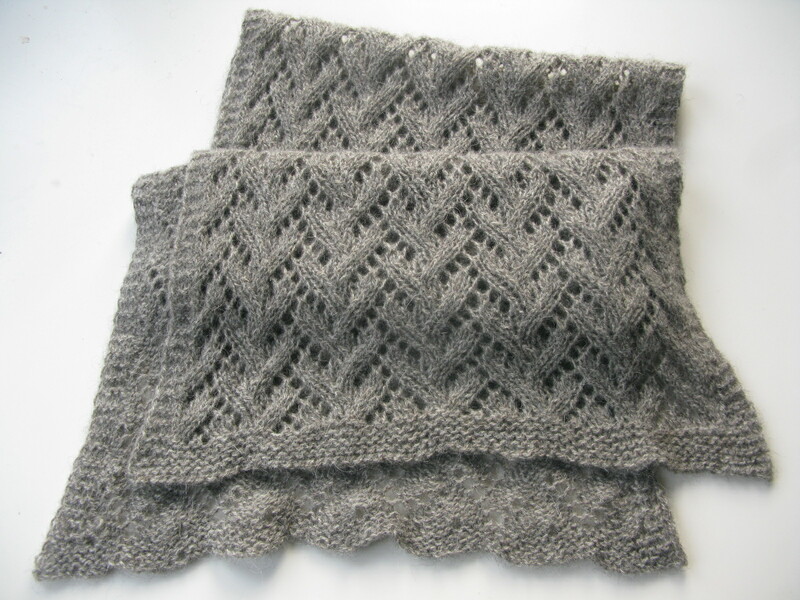 Haven’t managed to get any spinning done in what seems like weeks now, but I do have a bit of knitting to show you. 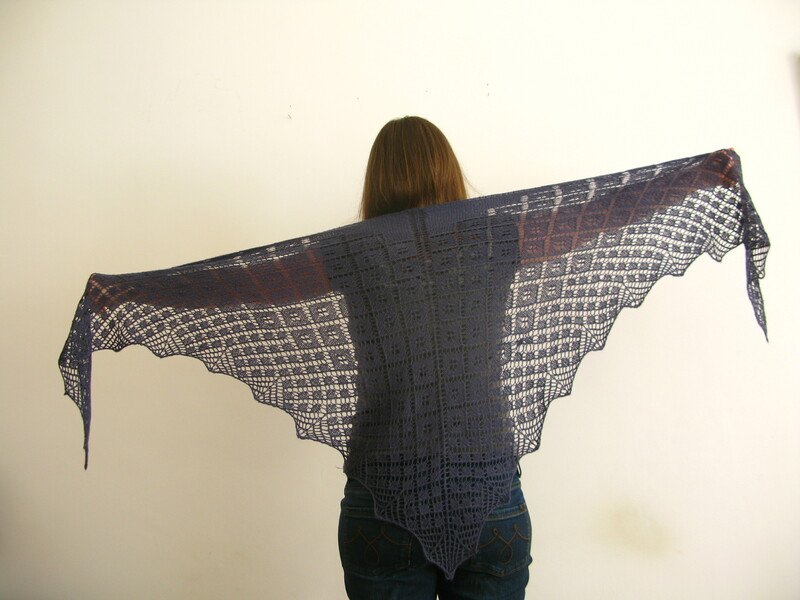 I’ve just released Asphodel Shawl on Ravelry. 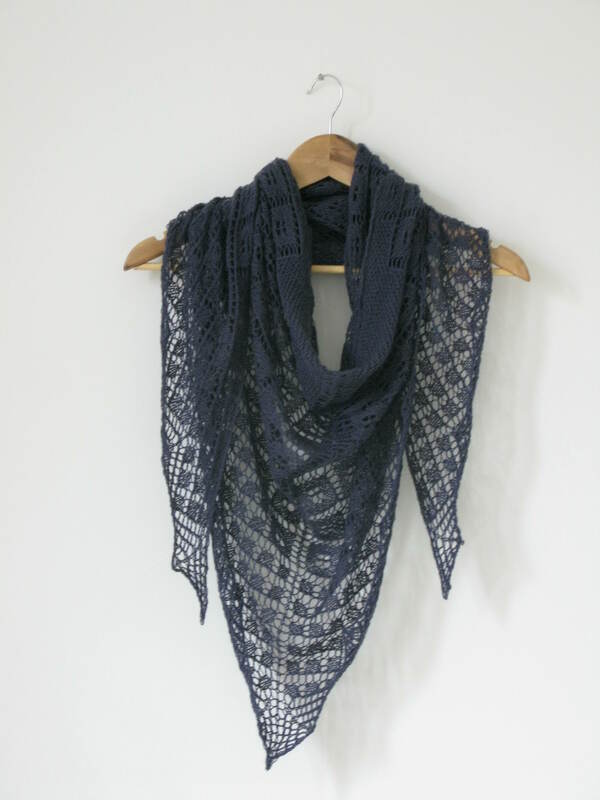 I really love this shawl, it’s a pretty geometric design that goes from big diamonds to small diamonds with a pretty lace border. And it’s giant! You can totally wrap yourself up in it. I love it for reading in bed to keep my shoulders warm. It’s also available on Craftsy and Etsy, in case you’re interested! Here’s another FO to show you. 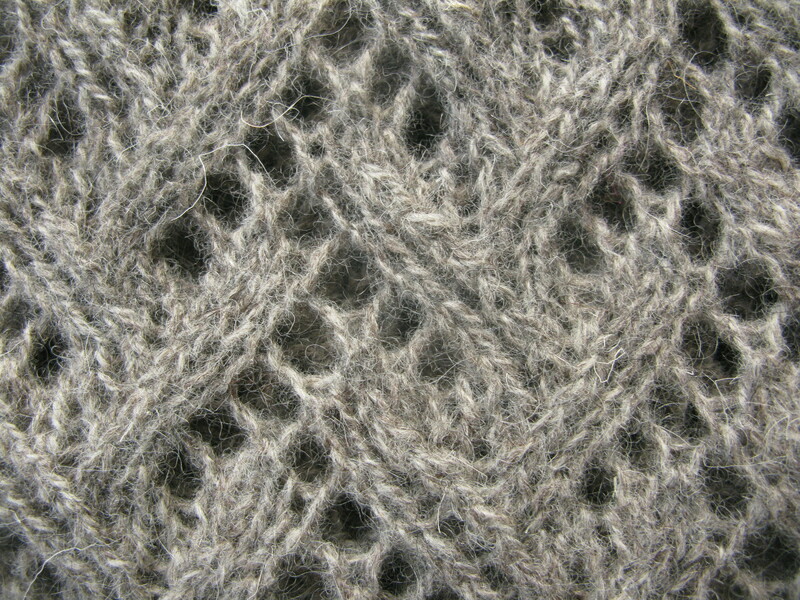 This is knitted up from the Gotland yarn I bought from Croft Wools up on Applecross in the summer. I’m hopefully going to get the pattern written up this week…. 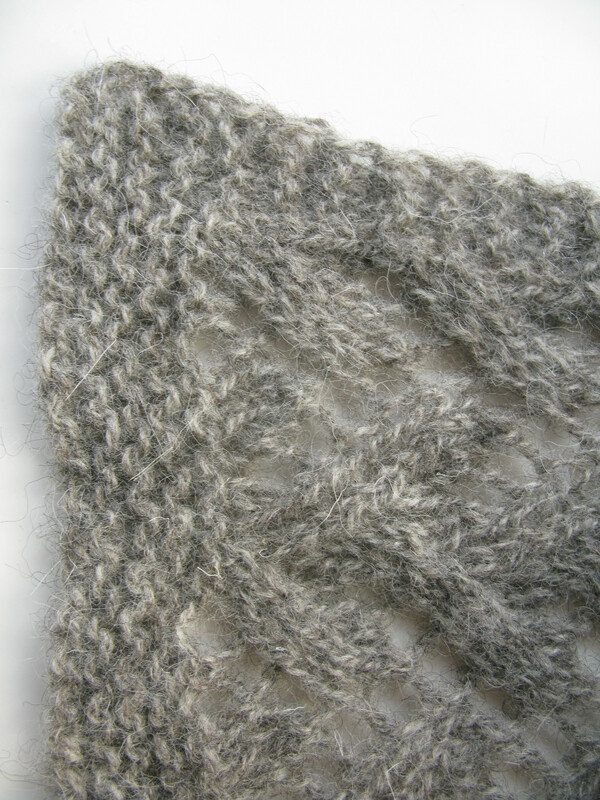 It’s lightly felted which really softened up the yarn and gives it a really pretty finish. Haven’t thought of a name for it yet either, thinking of pattern names is so hard! Ahhh, that’s a shame! It’s a lovely little shop/studio. I had a spinning lesson there a few years ago which was really good too. The scenery around there is gorgeous, it’s a beautiful part of the world!